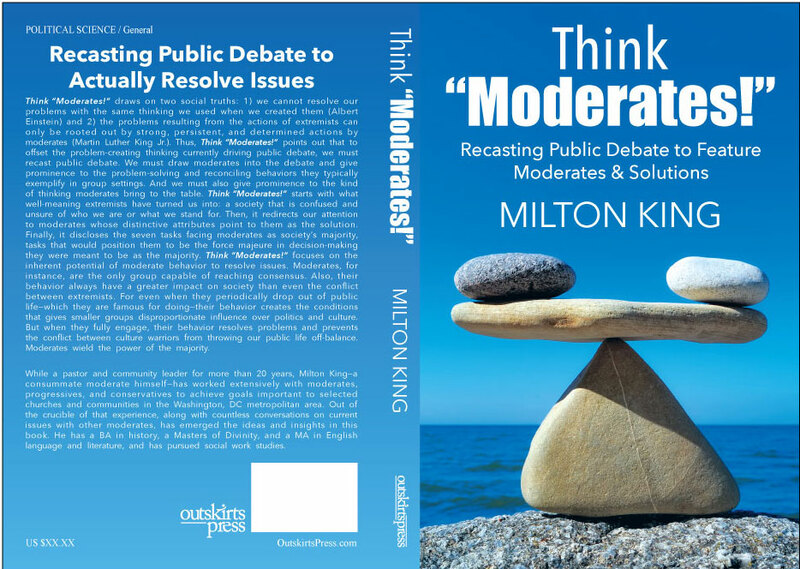 Milton King is self-publishing a book with Outskirts Press, and he wants your help deciding on his book cover. Think Moderates draws on two social truths: 1) we cannot resolve our problems with the same thinking we used when we created them (Albert Einstein) and 2) the problems resulting from the actions of extremists can only be rooted out by strong, persistent, and determined actions by moderates (Martin Luther King Jr.). Thus, Think Moderates points out that to offset the problem-creating thinking currently driving public debate, we must recast public debate. 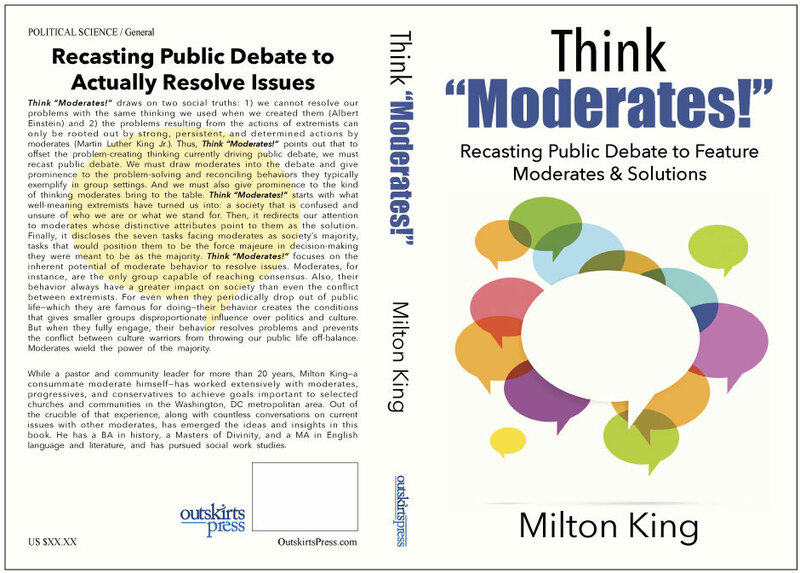 We must draw moderates into the debate and give prominence to the problem-solving and reconciling behaviors they typically exemplify in group settings. And we must also give prominence to the kind of thinking moderates bring to the table. While a pastor and community leader for more than 20 years, Milton King—a consummate moderate himself—has worked extensively with moderates, progressives, and conservatives to achieve goals important to selected churches and communities in the Washington, DC metropolitan area. Out of the crucible of that experience, along with countless conversations on current issues with other moderates, has emerged the ideas and insights in this book. He has a BA in history, a Masters of Divinity, and a MA in English language and literature, and has pursued social work studies. Please take a look at two possible covers below and then vote on the choice you recommend for Milton.